What does the January Transfer Window Tell Us About the Premier League Money Bonanza? As the January transfer window closes, Dan Jones, an analyst with Deloitte, shone a light on the financial might of the Premier League in an interview on BBC Radio Four ‘Today’. Jones made some key points that show how the EPL is way ahead in the football business leagues. – The £175 million spent by clubs in this transfer window. 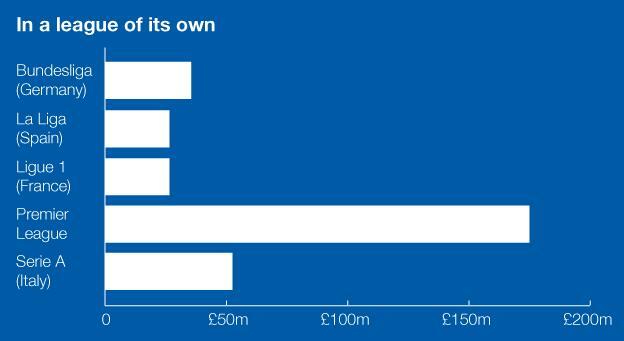 This isn’t itself a record, but it take the total spend this season to a record £1.04 billion. – The £175 million spent by EPL clubs is three times more than any other league in Europe. – Some individual EPL clubs spent more than the entire German Bundesliga. With a new TV deal around the corner, this is the worst season to fall out of the Premier League and the best to get promoted. For that reason, Jones observed that the bottom six EPL clubs spent more than ever, and the top six club in the Championship – in a bid to gain promotion – spent more than the top six in the EPL – the first time this has occurred.